set them up now to start recovering that lost revenue with relevant personalized marketing. 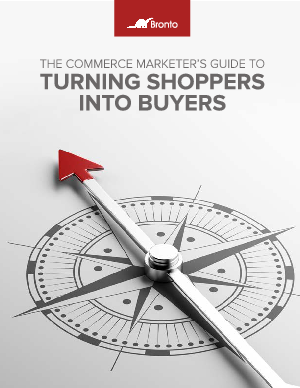 From browsing to carting to checkout to post-purchase, optimizing your business at every stage of the journey is critical to increasing your conversion rates, and ultimately, your profitability. If the path is too difficult to navigate or not relevant to consumers, you’ll quickly lose shoppers and find it nearly impossible to develop loyal fans of your brand. Get to know your customers, help them feel comfortable and confident about buying from you and do your best to earn a coveted spot as one of their favorite go-to shopping destinations.